Pedestrians, motorists and the rest of South Africa were left disgusted and shaking their heads in horror after witnessing a horrific hit-and-run on Friday. The SPCA says it will lay criminal charges against a man who appears to have deliberately killed two goslings at the traffic lights at the corners of Spin and Adderley streets in central Cape Town. Western Cape education department spokesperson Jessica Shelver witnessed the incident. She took to Facebook to share a post about what she had witnessed right before her eyes. 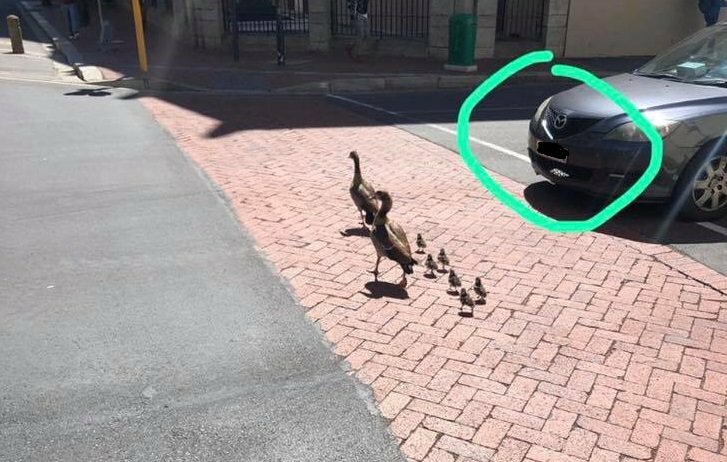 The SPCA released a statement saying: "A passer-by was filming a family of Egyptian Geese – two adults and six goslings who were crossing the road at the intersection of Spin & Adderley Streets when the incident which resulted in the death of two goslings occurred. “We are in the process of tracing the owner of the vehicle based on the car’s license plates and dispatched representatives to the site to attempt to retrieve the remains for post-mortem purposes.